dear, i think u may get it from Jahangir's world times address or somehow from its contact number. do try it, it wl help u. 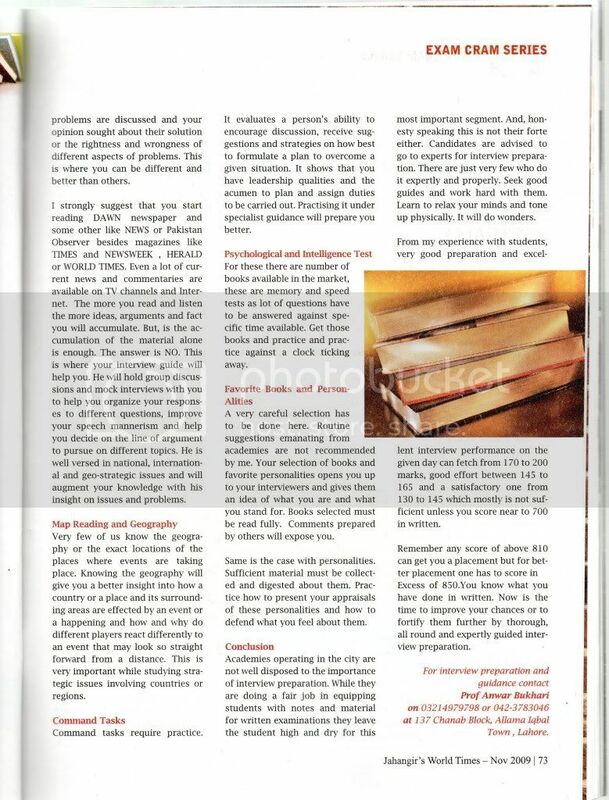 Anyone can tell which is the best academy for interview preparation.? dont go to any academy as they r sitting their to grab as much money as they can. and believe me after spending a whole full month or two over there u will come to know that u just have wasted ur precious time for nothing. 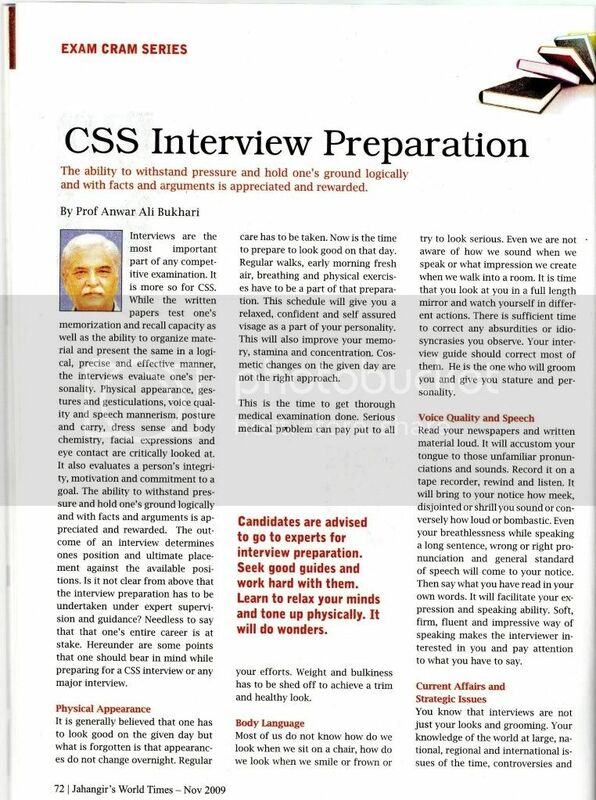 my advice for the intw prp will b that u must contact those people who have appeared before a css panel and ask them the way and lines of prepration. where to search those people who can guide well if u dont know any? definitely if one clears INSHALLAH.. than the next step is interview so one must hv some idea that which is the best platform for preparation. Last edited by Princess Royal; Saturday, October 06, 2012 at 12:26 PM. We can trust the man of troubles but not on the man of pleasures.